Danang airport to city centre by private car with professional driver is an enjoyable coastal drive. 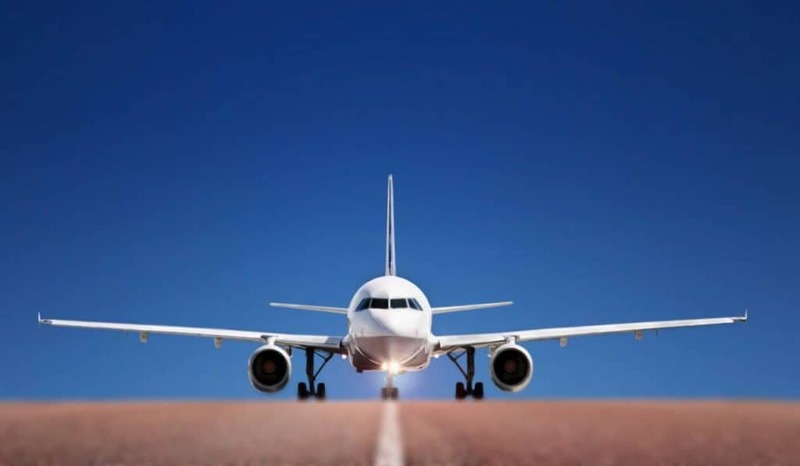 Da Nang airport to city takes approximately 15 – 30 minutes depending on your hotel location. Danang Airport is the third biggest airport in Vietnam, attracting thousands of domestic and international arrivals each day. Transfer from Danang Airport to Danang City Center is easier with VM Car. Da Nang Airport Car Rental is highly sought after service. If you want safe, convenience and comfort for your friends, family or yourself in this busy airport, then booking a Danang airport transfer by private car with VM Car is the best choice for you! 1. Does your company have limited time to visit if we want to rent a private car from Da Nang airport to city center? 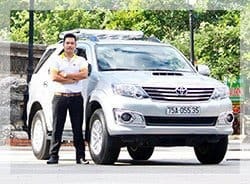 – For the private transfer such as Danang airport to Danang city center, that price per car not person which included an English speaking driver; 24/7 chat, email or call support; toll and airport fees and charges, door to door service; free Wi-Fi on board and bottle of water. 3. How long does it take from our hotel in Da Nang airport to city center? The transfer from Danang airport to city center, It takes about 20- 30 minutes if you go direct but if you want to stop for taking pictures at many places on the way it would be longer than. And actually it depends on how long you spend time for each stops. 4. What happen if unfornately we canceled the transfer from Danang airport to city center? 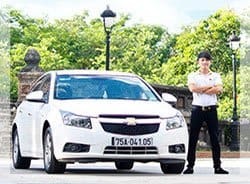 You can cancel your booking without any fees charge with the private car from Da Nang airport to city center but only for one day before your trip starts. After that time, you’ll pay for the fee charges. 5. Does your driver can speak English if we want to know something during our trip Danang airport transfer? Yes, they can. We are always so proud of our drivers who can speak Basic English communication or better but they are not tour guides so they have limitation.We will be continue delivering excellent services for you. 6. Where will we meet our driver for the trip to Danang city center from Danang airport? With the Danang airport transfer, all drivers wear our company uniform and our driver will wait at the airport and hold a welcome board with your name written on it for you to recognize him easily. In case you are not still able to reach the driver or locate the office, you can anytime get in touch with our support team via call or email. I traveled from Da Nang airport to Da Nang city by private car with my courteous and friendly driver, Quang. The car was very clean and new brand. I enjoyed it so much. Actually, my flight was delayed and my driver waited for me at the airport for an hour. Honestly, it was nice of him. He was willing to recommend the most excellent restaurant and the best things to do in Danang as well. In addition, he didn’t hesitate to advise me to buy a large number of authentic souvenirs of this city after he had known I was a collector and I had a passion for local culture. 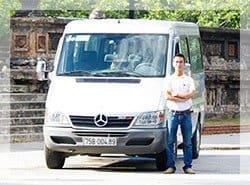 We used VM Cars for our transfer from Danang airport to city center. Mr Loc (our driver) was delightful – the vehicle near new, immaculate and comfortable. 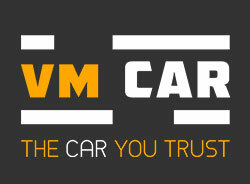 Mr Loc speaks very good English and is an professional driver – thank you, would highly recommend using VM Cars company for reliable and safe transport. I will definitely use this company again. I used “Da Nang airport to Da Nang city by car” a transfer. I contacted Ben via email and he offered me great assistance with my booking quickly and professionally. In addition, VM provided me with a helpful and considerate driver, Thang. He was very punctual to pick me up and the airport and then drove me so safely and dropped me off at my accommodation. Overall, it is clear that VM Car makes me satisfied. Therefore, there is no doubt at all that I will definitely give many good reviews to my friends and use other services for many years to come. We used VM Car company recently was for 2 late night/early morning Danang airport transfers and a trip from Danang to Hue via Hai Van Pass. Their services were perfect in all punctual – respects, clean and safe vehicles and friendly and knowledgeable drivers. Henry, our driver to Hue, was particularly interesting and helpful – excellent English and insightful conversations. We would definitely engage this company again. I booked VM Car company to take me from Danang airport to Danang city center. The car was very modern, superb, tidy and clean. The driver, Nick Nguyen was excellent as a guide and driver. Definitely recommend VM Car company! A++ service. I booked transfer Danang airport to Danang city by VM Car. I traveled to my hotel located in the city center with Top, my driver. He was very punctual and devoted. Moreover, he was willing to share the knowledge about the tourist attractions, local environment, and authentic activities in Danang. It was also very kind of him to recommend a faultless and flexible plan so that we could enjoy my short vacation fully. Honestly, thank you for his advice and help so much. If I have another free time to travel to Vietnam, I make sure I will choose VM Car again. A+++ !